Federal emergency officials are assessing the damage from the tornado that struck Arlington last week. The Federal Emergency Management Agency arrived in Arlington on Monday. Officials said they would not go to every single damaged home but would comb through neighborhoods to get an idea of the destruction. 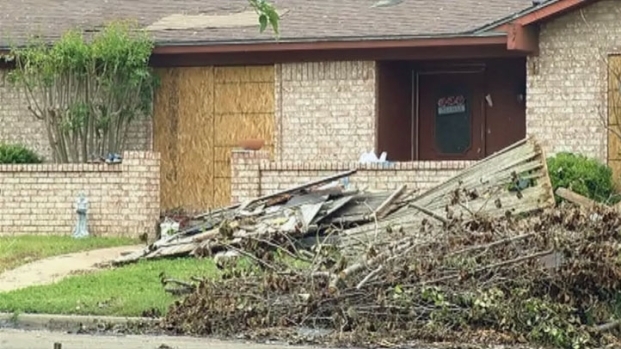 FEMA officials will consider everything from the National Weather Service's assessment of how strong the tornado was to whether people are still living in their homes and whether or not victims are insured. "Tornadoes are very fickle," FEMA spokesman Brad Craine said. "You could have one neighbor with some potted plants in the backyard and the neighbor next door to them has lost the second story to their house, so they're different." Once the damage has been assessed in Arlington, FEMA will total up the estimated damages from all three affected counties -- Tarrant, Kaufman and Dallas -- and submit their results to Gov. Rick Perry, who will decide whether or not to ask for a presidential declaration. If the governor seeks a presidential declaration and it is granted, the declaration could include federal aid. "As far as damages and where we are with FEMA, it's far too early to know whether we're going to get a declaration or not," Craine said. Until then, the Arlington Fire Department said the community's willingness to help has helped them. "We've got a pretty huge impact area, but we also have a huge area of the city that we have to get back to normal services, so it has allowed us to free up people and resources with specific skills to focus on what they need to focus on," Battalion Chief Rodney Smith said. But before the city can get back to normal, it has to undergo a massive recovery phase that includes cleaning up and getting people's lives back to normal. "We want everything to happen right now but, realistically, we know it has to go through the process," said resident Terry Meister.